The Martin-Luther-Universit Halle-Wittenberg is the latest member of the NUMiD consortium of German university museums (powered by the software framework developed at the Berlin cabinet) to enter the Nomisma.org collaborative. 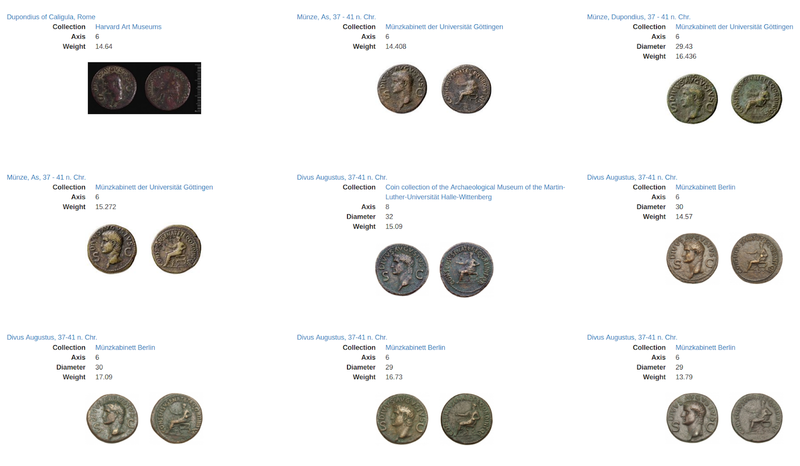 Halle is providing access to one Republican and 45 Imperial Roman coins, with more to be cataloged in the future. One such example can be found in RIC Caligula 56, a coin type that shows a particularly diverse range of data partners: 50 specimens across 8 collections.